SKU: AM-189XXPHC. Availability: In stock Categories: Disks, Screens / Disks. 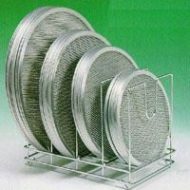 This perforated hard coated disk is the best alloy for cooking and baking, won’t chip, crack, corrode, or rust. 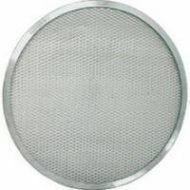 Perforated disks can produce a more evenly baked crust by allowing air to circulate beneath the crust. Cleans easily, longer lasting. Apporved by all US Health Departments. 18 gauge aluminum.